The Pedego City Commuter is an electric bike that strikes a balance between performance, durability and affordability. It’s one of the more popular electric bikes out there and it comes in a few flavors. There’s are two versions of the 36 volt (one ten amp hour and one fifteen for increased distance) and a 48 volt version with ten amp hours that is all about power. There you have it! 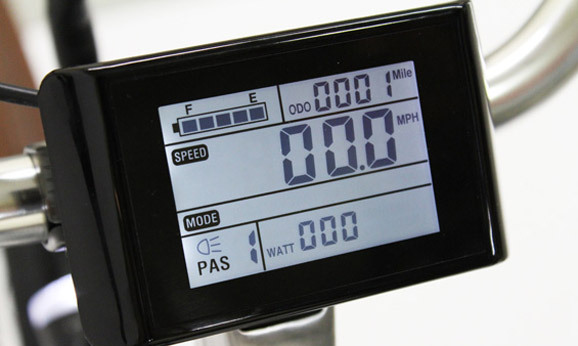 Now you can change the way your electric bike performs in terms of speed and either keep yourself from getting out of control by lowering it or raise it up to speed your trips. Do be careful when making adjustments like this and always obey the laws and regulations of your location. If you’re on a farm or countryside however, the raised speed can be convenient and may turn your electric bike into something more akin to a moped. This entry was posted on Friday, December 7th, 2012 at 2:09 am.